Indian agencies are trying to get in touch with the family of Sangeeta Richard, the nanny who filed a complaint against Indian diplomat Devyani Khobragade, who was arrested and later released last week in connection with an allegedly 'fradulent' visa application for her housekeeper and babysitter . 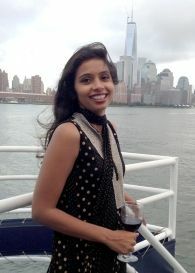 Hailing from Punjab, Sangeeta has been missing since June and sources tell rediff.com that she is still in the United States of America. She had been declared as an absconder by India after she went missing since June. There is a hunt on to trace her and the Indian agencies have their task cut out. They have been trying to get more information from her husband and the rest of the family members, who are in India. Sources also point out that some of Sangeeta’s family members who are in touch with her indicate that she has not returned to India. Taking into account the sensitivity of the issue, the Indian officials do not want to reveal more details. “She is not in India and we are getting some information from her family,” an officer pointed out. There is a good chance that some of the family members may be flown into the US in order to find her. “Sangeeta is very important to the case and having her depose at this stage is very important,” the official said, adding, “While the nanny may have her side of the story it is very important for us to convey to the US the other side of the story as well”. “Did she agree to work for less salary, did she start blackmailing the diplomat and why was a case filed even after an injunction by the Delhi high court?” the official asked. The Delhi high court in an interim order had directed the nanny not to file any case against Devyani outside India. Moreover the officials would also want to know why she went absconding since June.